The Department of Music at Gustavus Adolphus College is pleased to announce the selection of jazz composer and director Dave Stamps to lead jazz studies at Gustavus following the retirement of Dr. Steve Wright, long-time director of the trumpet and jazz programs, at the end of last year. Stamps will direct the jazz studies program as well as continue to build on the College’s composition program. 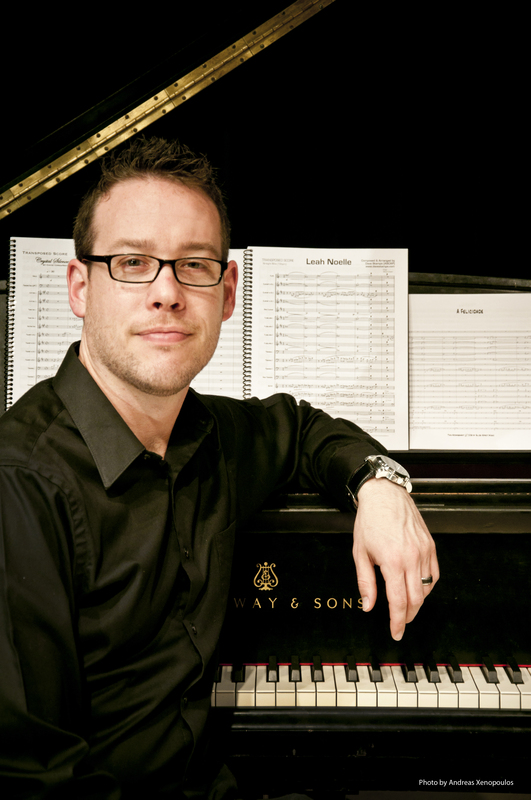 Dave Stamps comes to Gustavus from the Glenn Korff School of Music at the University of Nebraska-Lincoln, where he was studying jazz composition to complete his doctor of musical arts degree under the tutelage of Dr. Eric Richards. He is one of a very few UNL Othmer Fellows, the most distinguished recognition the University offers to resident doctoral students. At UNL, Dave has directed UNL Big Band, taught jazz history and world music, and coordinated the jazz chamber music program. He earned his bachelor of music from Southern Illinois University, and two master of music degrees from the University of South Florida and Northern Illinois University. Before his arrival at UNL, Dave served as the associate director of jazz studies and director designee of the UNC Jazz Press at the University of Northern Colorado. Prior to his time at UNC, he was the managing director of the Center for Jazz Composition and visiting assistant professor at the University of South Florida where, with composer Chuck Owen, he helped develop the Jazz Masterworks Series, the International Jazz Composers’ Symposium, and the International Jazz Arranging Competition. Dave Stamps is both an active trombonist and composer/arranger. He has performed with, or written for, the Colorado Jazz Orchestra, the Ninth & Lincoln Jazz Orchestra, and 5th Avenue, and has worked with Chuck Owen, Chick Corea, Gary Hobbs, Jim Widner, Wil Swindler and Luiza Zan, among others. He has performed throughout the United States, Canada, Mexico, and Peru (at the Festival Jazz en Lima) and across Europe, including the Montreax Jazz Festival, the North Sea Jazz Festival, and Jazz à Vienne. Stamps has achieved great success with his compositions performed and recorded by professional and university jazz ensembles worldwide. He is a member of ASCAP with all of his compositions currently available through the UNC Jazz Press or his own firm, March of the Purple Penguin Music Publications. His other interests include research in jazz composition, music entrepreneurship and their juxtaposition. Topics within these interests are both wide-ranging and overlapping. Dave Stamps will join the faculty at Gustavus Adolphus College for the 2014 fall semester as an Assistant Professor of Music.